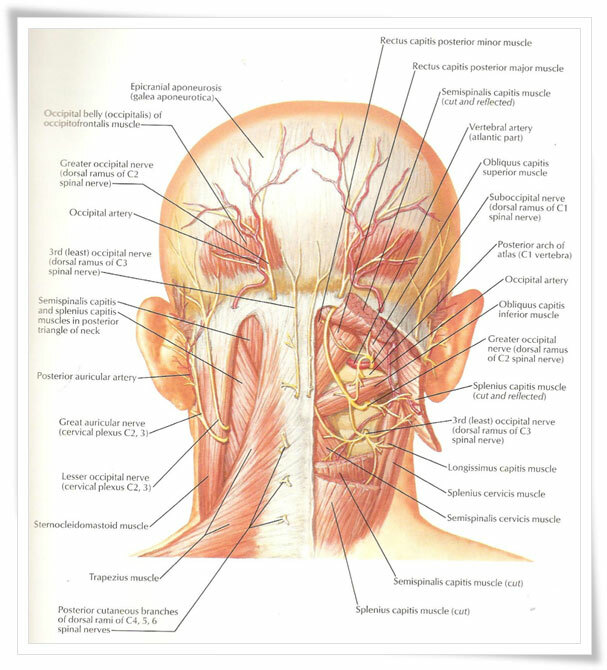 The Occipital Nerve arises at the back of the head and supplies sensation to the back of the head. There are two Greater Occipital Nerves, Right and Left. These nerves have connections in the brain with an area called trigeminovascular (TVS) complex, which is involved in pain generation felt in Migraine. It was noted by Dr. Dodick and Dr. Godsby that stimulation of GON can alter the chemical balance in this TVS complex and help to control the migraine. A number of painful conditions can be treated using Occipital Nerve Stimulation. It may be extremely effective when other treatments fail to relieve the intractable pain of chronic posterior headache. There are no assurances for any medical treatment and every individual case is different, but the surgical treatment we do aims to minimize the number and severity of your migraines. There are a many factors to consider in deciding if migraine surgery is your best option. The patients are asked to maintain a precise diary of their migraine headaches and to complete a monthly questionnaire documenting relevant information related to their headaches. At our institute, patients are selected by the specialist as per the International Headache Society guidelines and criteria to undergo this treatment. If you have any questions or anxieties, please be sure to discuss them with Doctor. 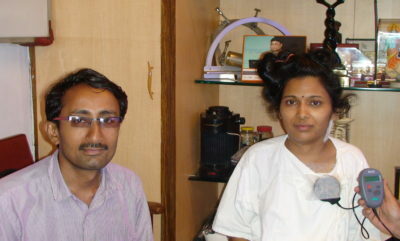 Mumbai, October 17, 2008, Jaslok Hospital & Research Centre conducted a novel surgery for the treatment of Migraine by Stimulation of the Greater Occipital Nerve (GON). This is the first case in India that such a surgery has been conducted. This was conducted by Dr Paresh Doshi, Functional Neurosurgeon, Dr. Preeti Doshi, Pain Physician and Dr. K Ravishankar, Headache specialist at Jaslok Hospital. The patients for occipital nerve stimulation are selected after careful evaluation the first step in selecting the patient used to evaluate the response of the patient to the greater occipital nerve block this no block is administered using local anaesthetic and a combination of steroid once administered the patient will feel relief office migraine headache for a short duration this can last for few hours to few days a good response to know block will ensure that the patient will is likely to respond to occipital nerve stimulation. Once this is confirmed we bring the patient back into the hospital for the main procedure of Greater occipital nerve stimulation the greater occipital nerve stimulator involves implantation of an electrode which is connected to a pacemaker is very thin wire electrode Travis is across the greater occipital now and stimulates the greater occipital now this is a very safe procedure as the wire is implanted just under the skin the patient is taken to the operation theatre wearing under x-ray guidance. Indian awake condition the wire is put across the greater occipital now and connected to a trial stimulator this trial stimulator delivers the current and the patient would feel paraesthesia in the area of pain or migraine headache once this is confirmed the patient is given general anaesthetic and the pacemaker is implanted after the surgery the pacemaker is programmed to deliver desired amount of stimulation to achieve pain relief over next few months the medicines are then titrated and slowly reduced our experience tells that it takes up to 6 months to take off the patient completely from medications the greater occipital nerve stimulation is a fairly successful procedure is performed in selected cases and we have now and experience of more than 6 patients who have undergone this surgery. 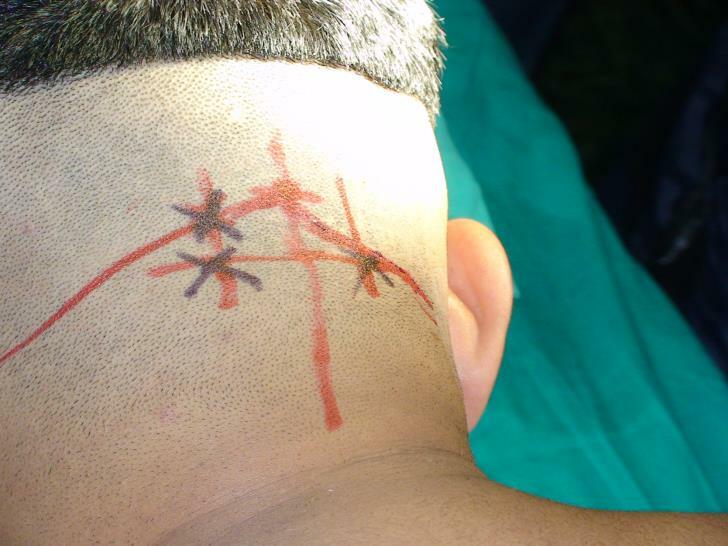 Landmarks for the insertion of Occipital nerve stimulation leads. Patient lying in a prone position (on his stomach). In carefully selected patients the results are very good. We have operated five patients so far. All of them have got excellent relief. The first patient is completely relieved of his migraine and also not needing the stimulation anymore. Another lady also had an instantaneous improvement as seen below. Acupuncture: Very popular for pain management. The technique requires a set of needles to be inserted into the skin at particular locations to relieve the pain. Biofeedback: This includes deep breathing exercises, progressive muscle relaxation, guided imagery, mindfulness meditation. Message therapy: This is known to reduce the frequency of migraine attacks. Cognitive behavioral therapy: It is a form of psychotherapy where reflection of ones behavior can help in the perception of pain.